America, land of the free, land of the brave, land of nightmares? A group of female authors come together in this collection of creepy tales and psychological horror stories to bring you chills and disturbing images that won't leave you long after you're done reading. From zombies to rural small towns, to the foggy New England to the glamour of Hollywood, each story focuses on a diverse aspect of living in America and the horror found in bullying, being the “new girl,” starting your first job, and navigating the murky waters of adolescence and all the terrifying changes that come with it. 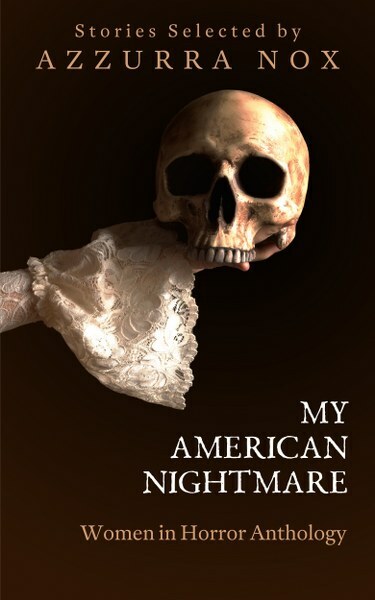 Bold and haunting, My American Nightmare encompasses daring stories from new voices in the horror genre. This collection will unsettle your nerves and linger in your mind, demonstrating that women can show you a nuance of horror that isn't always evident from the male perspective. Azzurra Nox - Whatever Happened to Peyton Rose? Born in Catania, Sicily, Azzurra Nox has led a nomadic life since birth. She has lived in various European cities and Cuba, and currently resides in the Los Angeles area. Always an avid reader and writer from a young age, she loved entertaining her friends with ghost stories. She loves horror movies, cats, and a good rock show. She dislikes Mondays and chick-flicks. CUT HERE, her debut paranormal urban fantasy was inspired by a nightmare the writer had a few years ago. Some of her favourite authors include Anne Rice, Oscar Wilde, Chuck Palahniuk, and Isabella Santacroce.